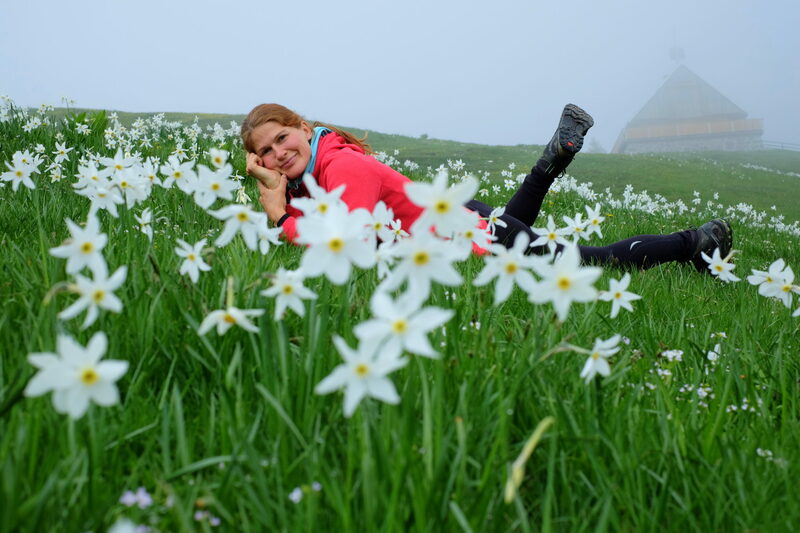 To be fair, May was not the best month for hiking in terms of good weather. I had so many plans yet realized so few (come check my Facebook for more adventures). 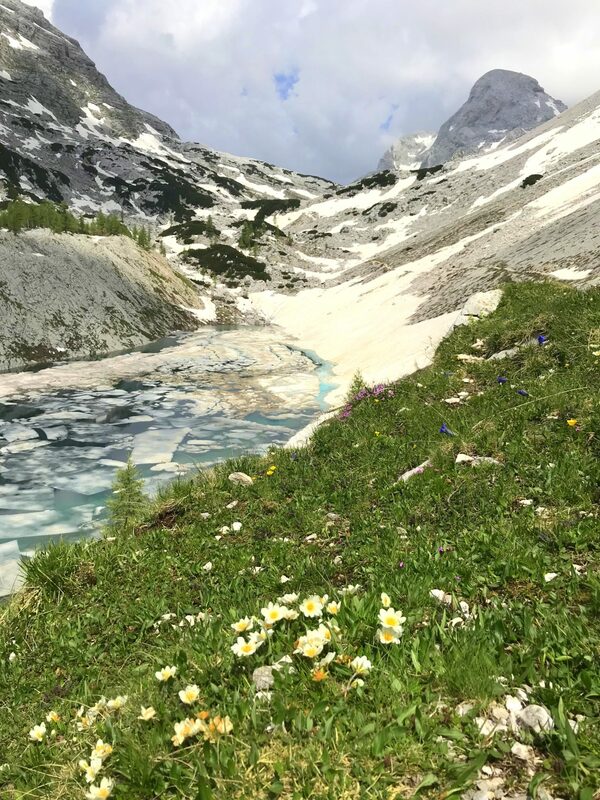 Thankfully, sunny and warm June is here, which started off with the bonus that May had left behind - plenty of water and lush vegetation. 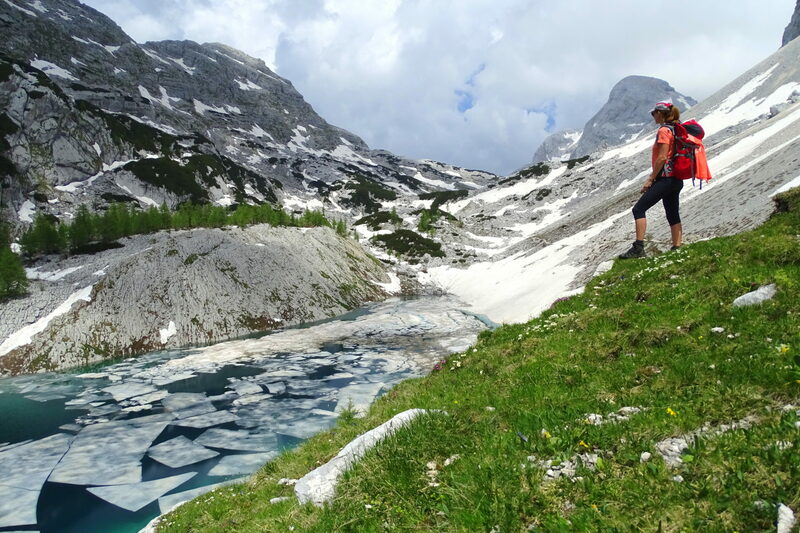 So, if there’s ever the right time to do the Triglav Lakes trail, then it is definitely now. Hear my story. 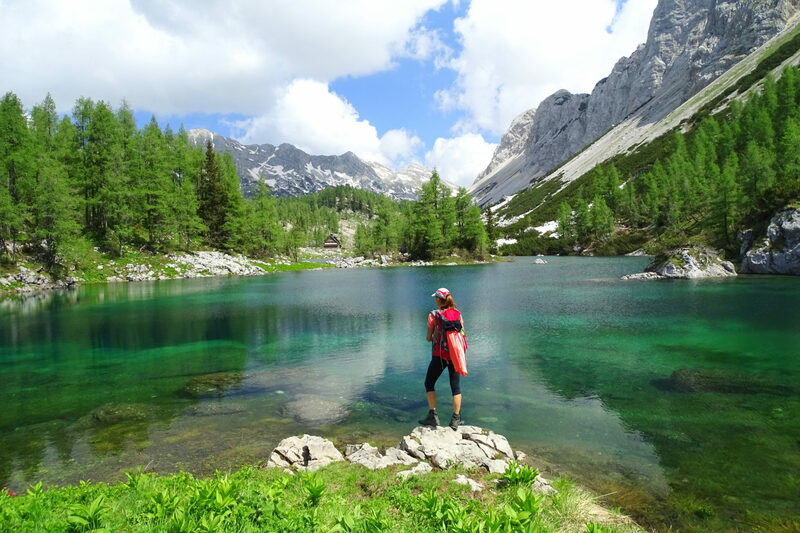 Arguably the most beautiful Alpine valley in Slovenia, the Triglav Lakes Valley extends about eight kilometers from the 1,294 m elevation above the steep wall of Komarča above Lake Bohinj to the 1,933 m elevation not too far from Triglav itself. 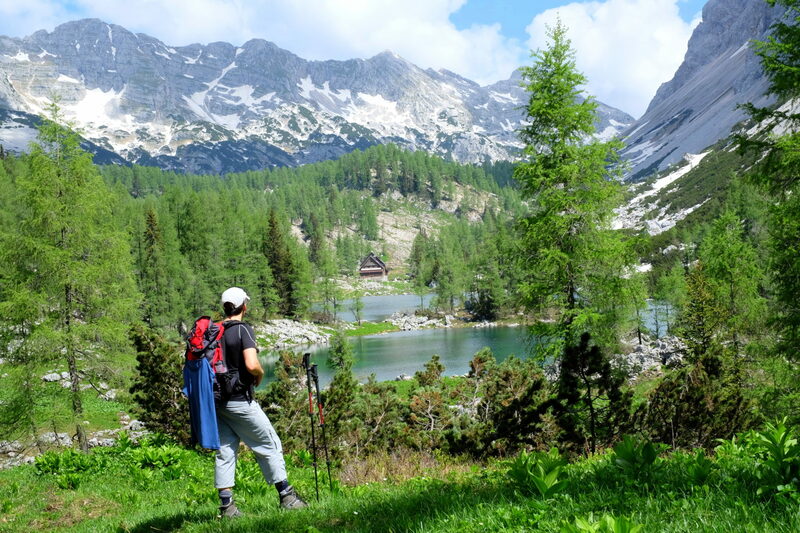 If you've ever wanted to make a trek around there, typical Triglav treks combine an ascent to Triglav with a walk through the Triglav Lakes Valley. Not a total shocker, right? 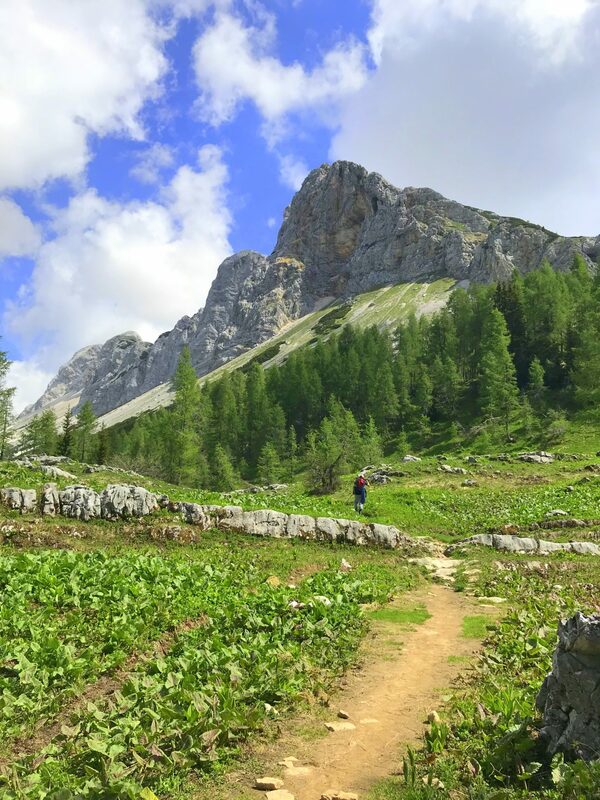 First thing first, our hike began on Saturday by the Savica Waterfall at 8 am where we strapped on super heavy backpacks (damn math and the puzzling riddle of how two dozen things, each weighing a few grams, possibly sum up to twelve kilos!?) and followed the signs for the first lake that day, the Black Lake (Slo. Črno jezero). If you decide to follow our steps, make sure you start an hour earlier to avoid the heat. 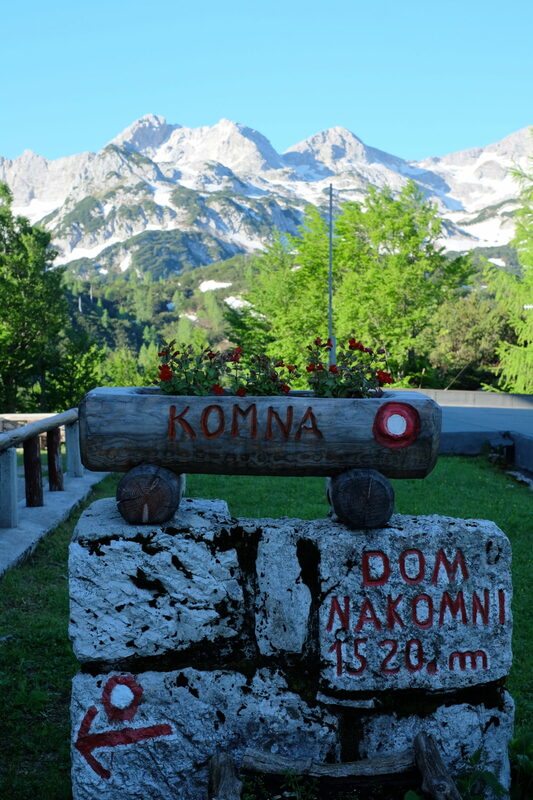 That said, we exited the south-facing Komarča wall completely sweaty, so our first stop by the Black Lake fifteen minutes later was spent drying our T-shirts and backpacks in the sun beside the lake. No complaints though. ? 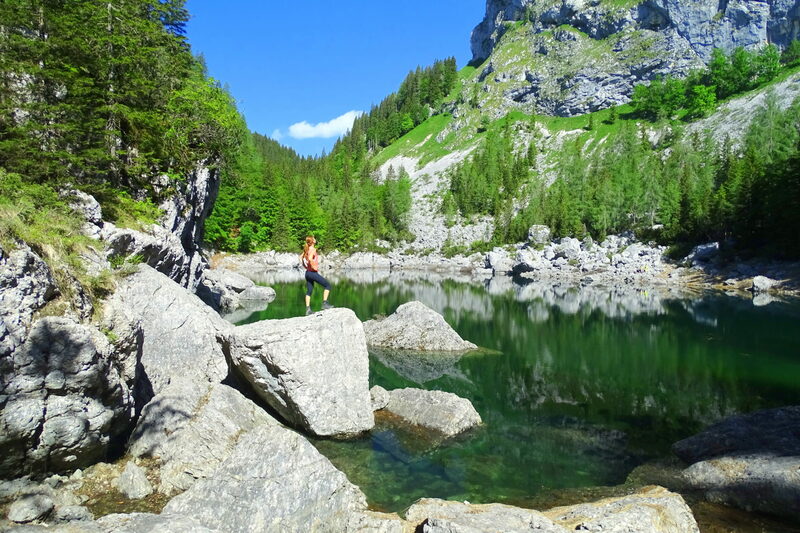 150 m long, 80 m wide and 6 m deep, the Black Lake is a bit darker, like the name implies, but far from actually being black. The Double Lake or the fifth and the sixth lake are currently merged into one big lake due to the huge amount of water. 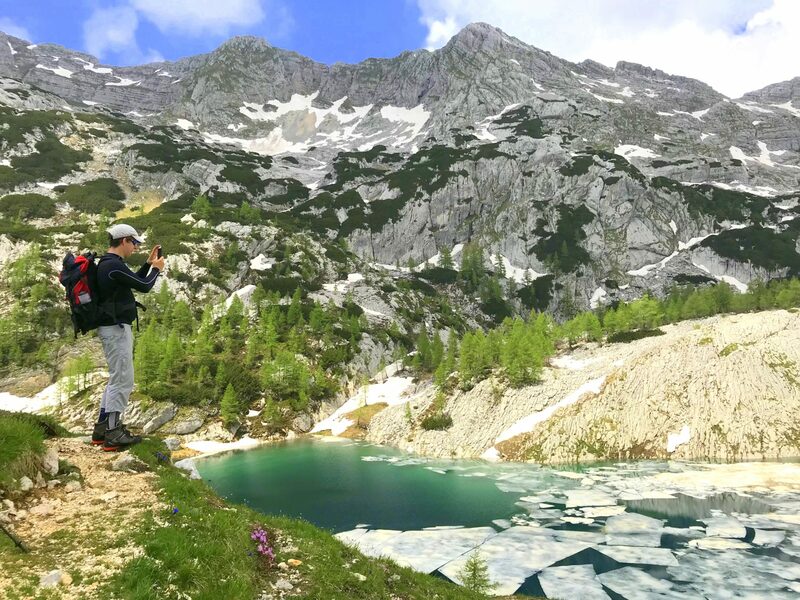 300 m long, 120 m wide and 15 m deep, the Big Lake or Lake Ledvica is the largest of the seven lakes and currently still a bit frozen. 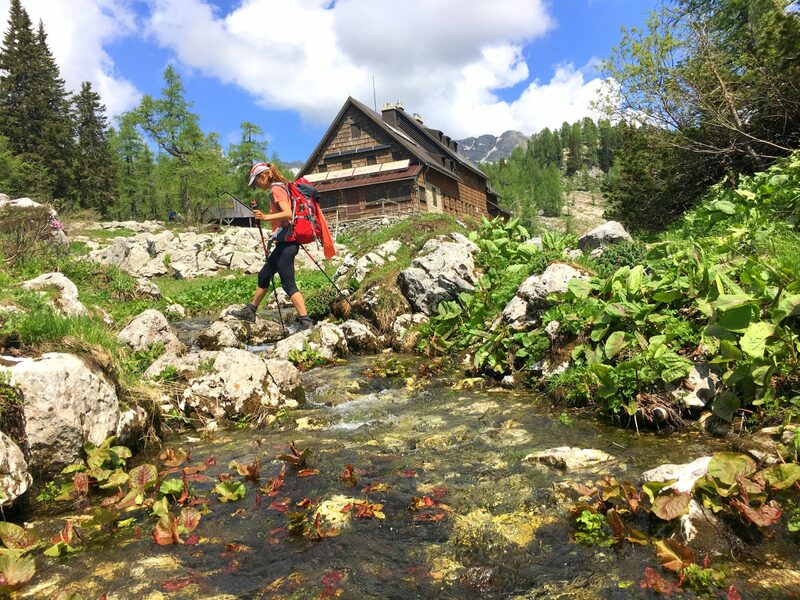 Then we were off to traverse the remarkable kingdom of high-mountain lakes underneath towering steep walls that lies between Lake Bohinj and Trenta Valley. The next lakes in line? The Double Lake or two magnificent interconnected lakes, colored somewhere between intense and emerald green. Almost by the Double Lake, which lies directly underneath Mt. 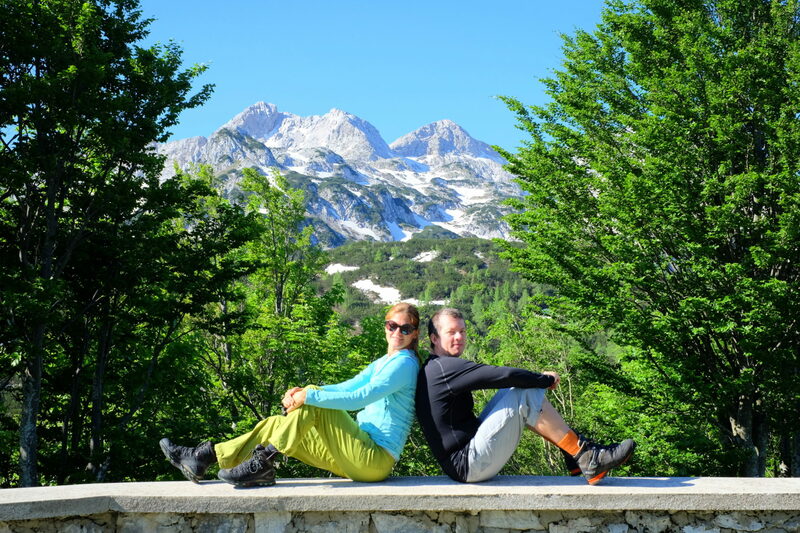 Velika and Mala Tičarica. 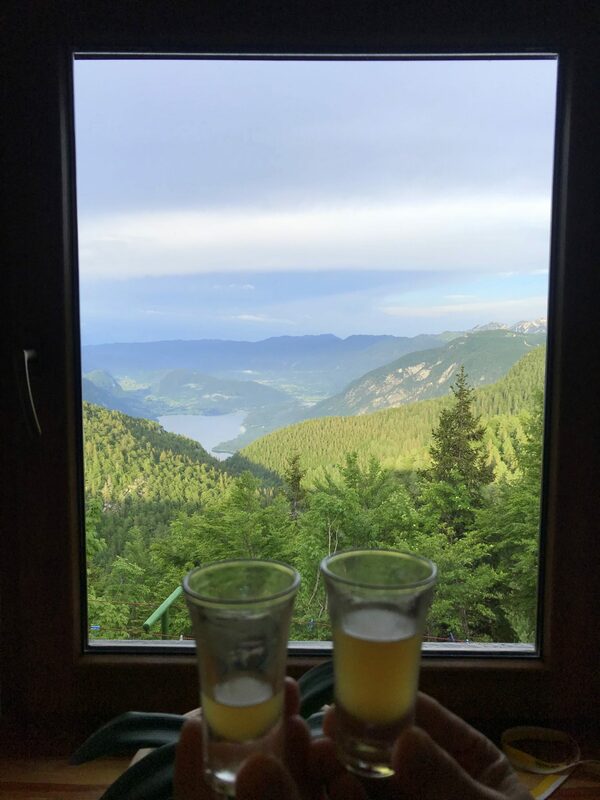 That view seriously never gets old! There is so much water in the mountains right now that the two lakes naturally merged into one big lake. There’s actually so much water that we needed to cross an otherwise nonexistent stream beneath the hut. 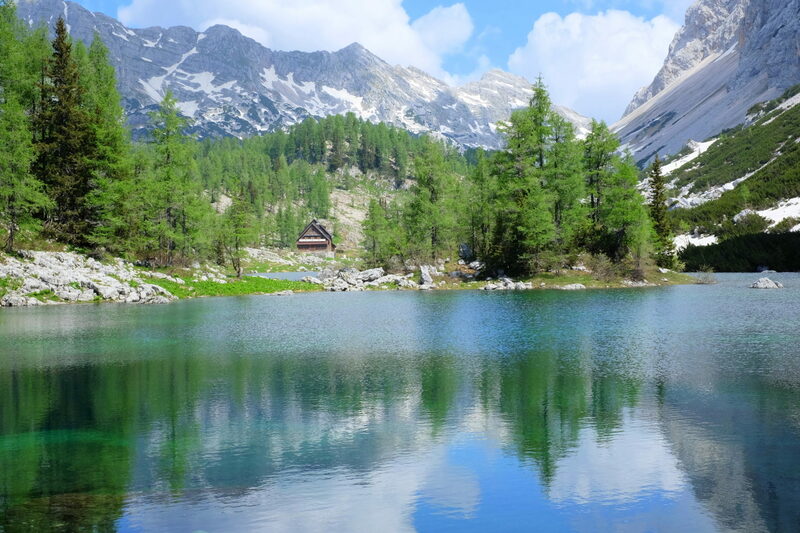 In case you’re wondering, the hut by the Double Lake was unfortunately still closed, but according to their keepers it should open in just two weeks by 20th June! 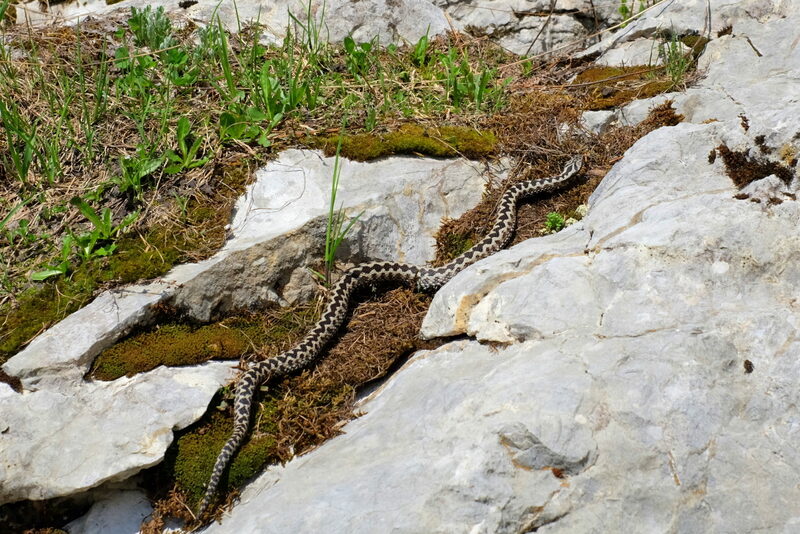 A viper was crawling next to us as we lay in soft grass eating our sandwiches and would probably go by unnoticed if I hadn't decided it was time to move on, strapped on my backpack and stepped towards it. All I can say is that the gasp was mutual and so was the urge to take another way. ? 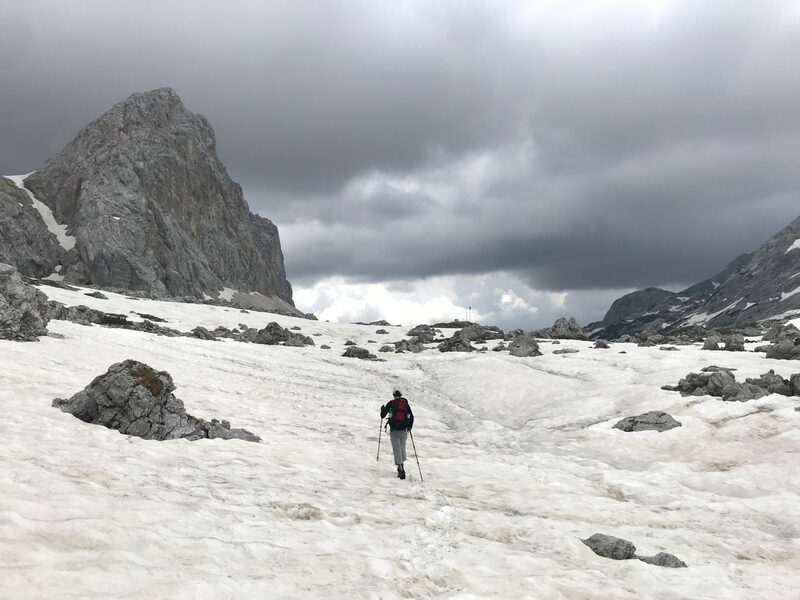 With altitude the trail from the Double Lake to Prehodavci gained more and more snow and the forecasted afternoon bad weather slowly started building in heavy black clouds. In fact, the weather above the tree line is predictably nasty and afternoon lightning and thunderstorms are the norm. 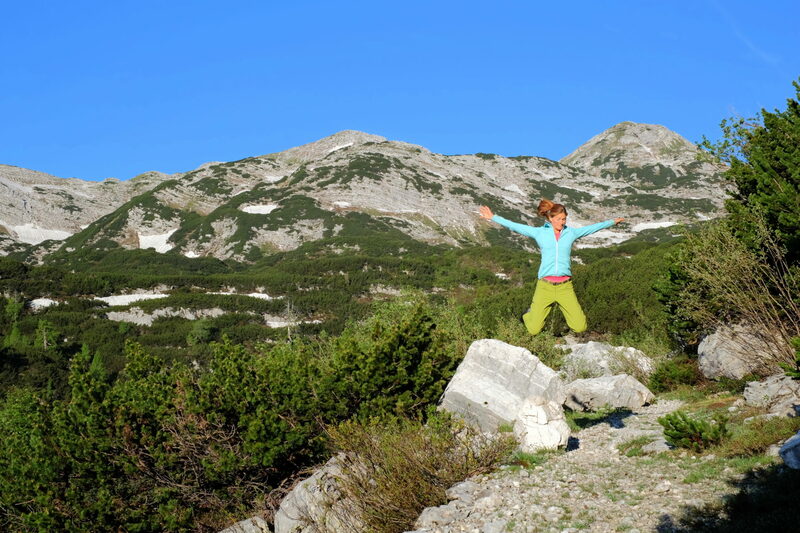 By the time we reached the Big Lake, also called Lake Ledvica (Eng. Kidney) because of its shape, we were already facing a mostly cloudy sky and wind. 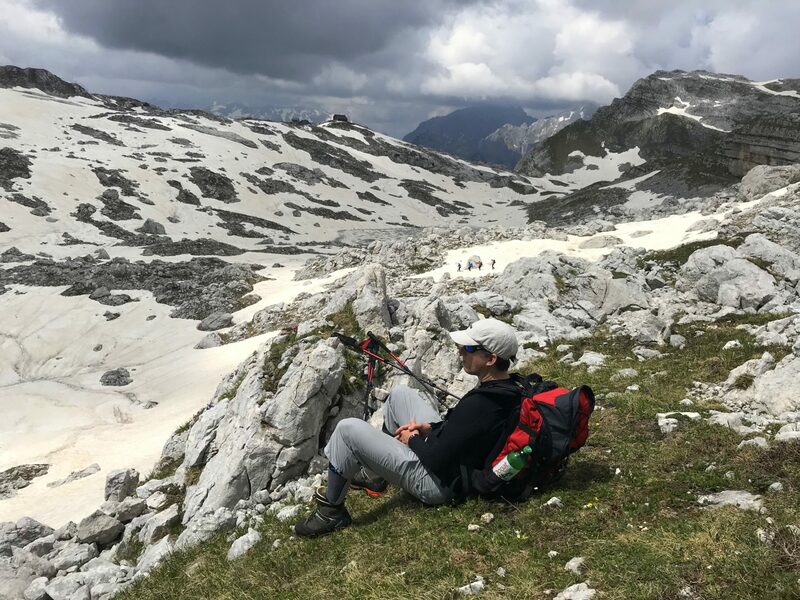 However, we did stick to our original plan to hike all the way to Prehodavci since in the case of a thunderstorm we could always hide in the winter room in the otherwise still closed Zasavska Hut. The half-frozen Big Lake and Mt. Kanjavec in the background. 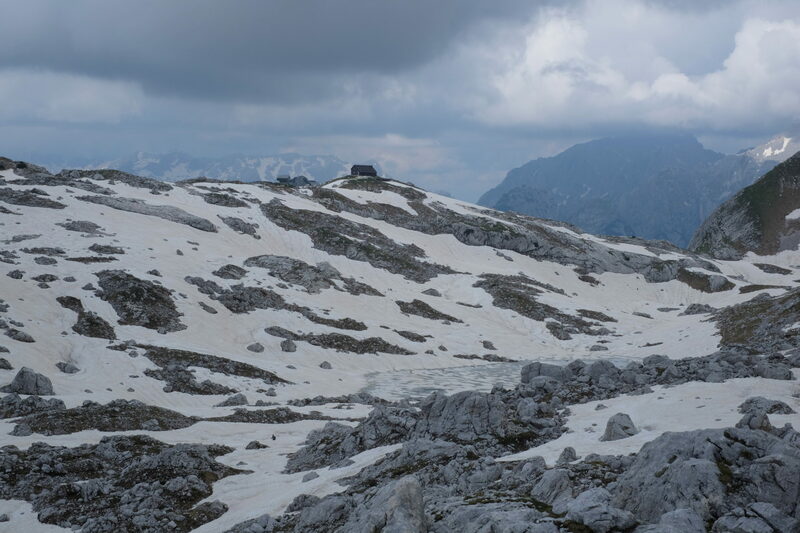 With the Zasavska Hut on Prehodavci within sight, it already started raining lightly. Since it would have taken us at least an hour to get to the hut and then back to the initial point, and since that side of the sky looked far scarier than where we had come from, we decided that the smartest thing to do right then was to run back down towards the Double Lake and leave the storm behind. We didn’t escape the rain though, and arrived there a bit wet. 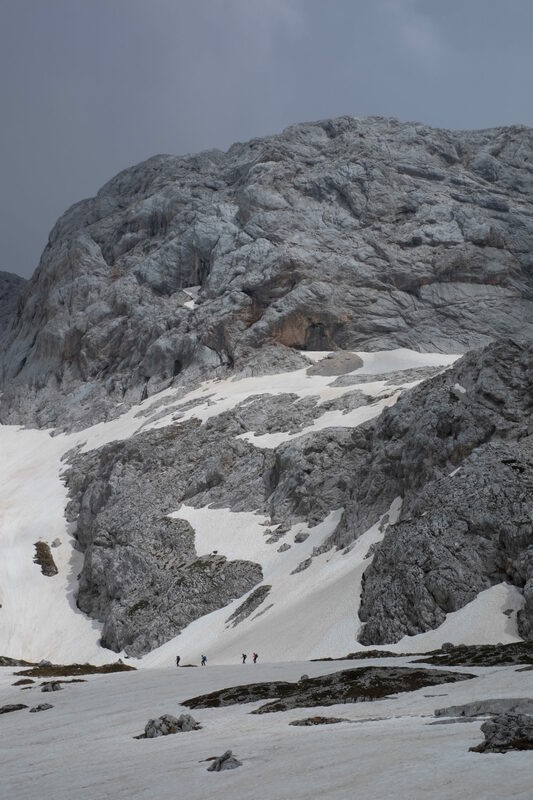 A group of Austrians walking towards the Zasavska Hut on Prehodavci with black clouds gathering in the background. Our turning point for the day. But as Swarzi puts it, ‘I'll be back!’ ? The Zasavska Hut on Prehodavci actually lies above another small lake called Mlaka v Laštah, but was unfortunately still frozen then. 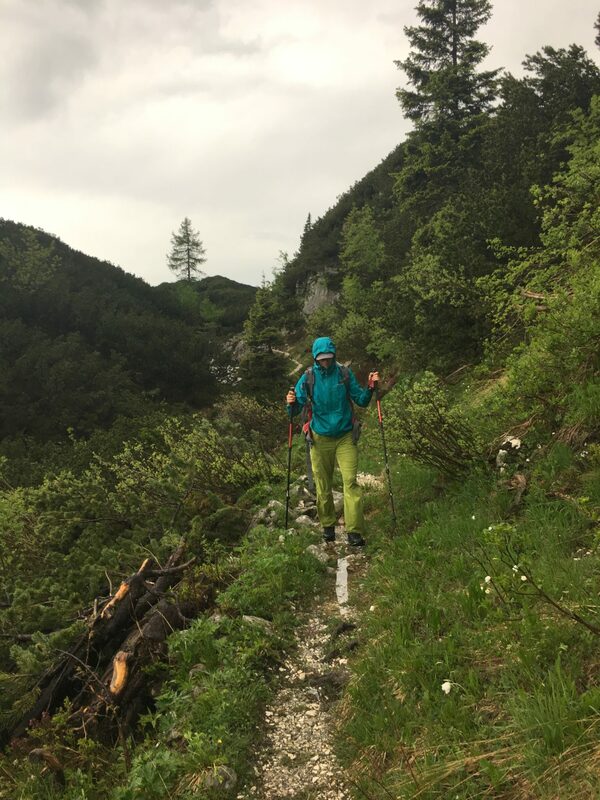 The way back from Prehodavci to the Double Lake was a bit intense because of the stormy looking skies, but as there was no thunder, we figured we would be ok. We didn’t mind the rain though. We had just sat down on a bench in the sun in front of the hut by the Double Lake when we heard the first crack of thunder, forcing us to keep going forward towards the Komna Hut and push the pace even more. 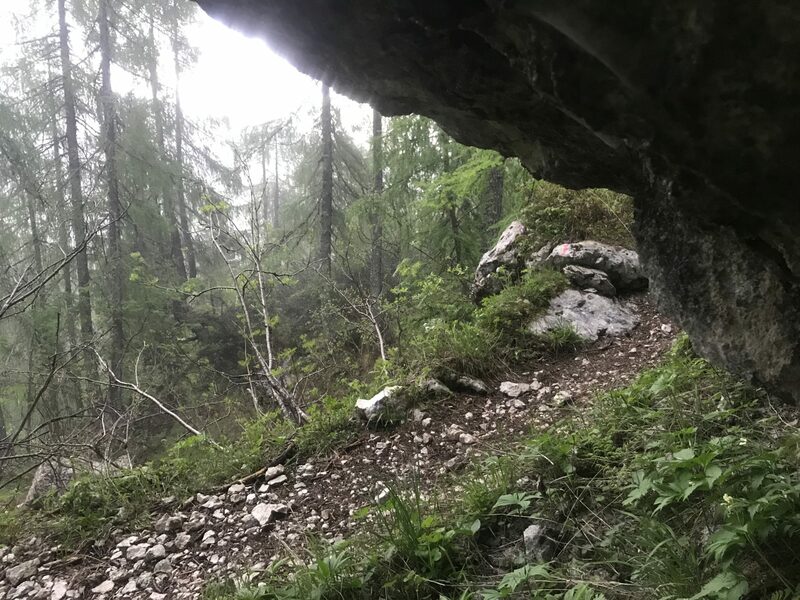 The thing is that the trail from the Double Lake to Komna is below the tree line and offers multiple wide and deep cracks in the walls next to the trail, which can serve as a temporary shelter. And so there we were, running away from the epicenter of the thunderstorm, which was moving quickly in the direction from Komna towards the Triglav Lakes Valley, but once a lightning hit somewhere close by and we found ourselves all of a sudden in the middle of a hailstorm, we hid in a small cave underneath a rock wall and waited for the worst to pass. Waiting for the hailstorm to pass. Once the hail was gone and the good old rain returned, we hit the trail again and headed towards the Komna Hut. Soaked through and tired after 10.5 hours on the trail (25 km and 1,800 m ascent), we checked in the hut, took a hot shower (additional €3, but, oh, so worth it!) and cheered to our thrilling adventure. Woke up to a beautiful morning! Until next time, y’all, and stay tuned for more outdoor adventures! Follow me on Facebook, Twitter, Instagram, Youtube and subscribe to the feed. 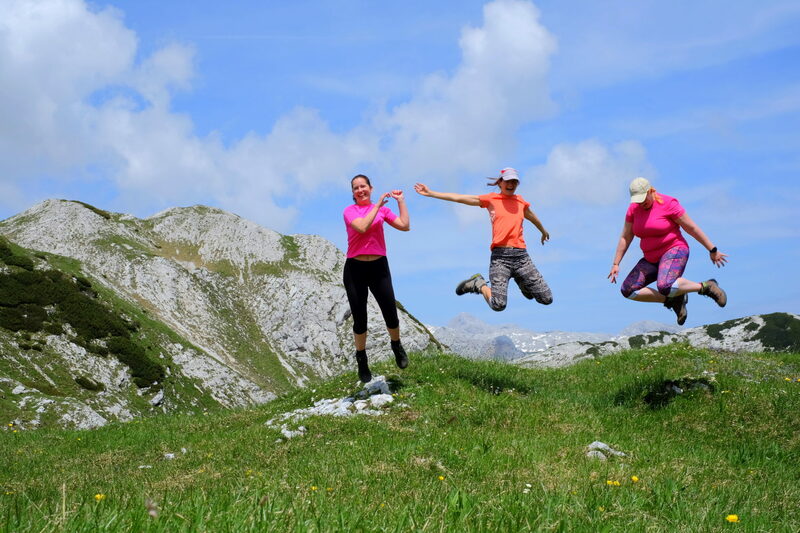 For rooms, apartments and holiday houses in Slovenia, you might want to check ViaSlovenia as they are super competitive!